What is the world coming to? Now she’s making creations with circles-oh my! This was one of the One Zentangle a Day challenge day I was looking forward to the most- creating my very first Zendala! What is a “Zendala” you ask? Well, a Zendala is inspired by the traditional Mandala graphic design which symbolizes the universe. A mandala is divided into for different sections with patterns that repeat themselves. The Zendala version is very similar but rather than using traditional symbolic imagery a Zendala uses tangles! A blank Zendala template was provided to get you familiar with using tangles in a Zendala. The provided Zendala template has a very organic feel to it, so I decided that using organic style tangles would complement this template the best. To keep things simple, I decided I would only use three favorite tangles to achieve the repetitive pattern that is needed for a successful Zendala. I choose three favorite patterns: Lazy Eights, Tagh, and Eke. 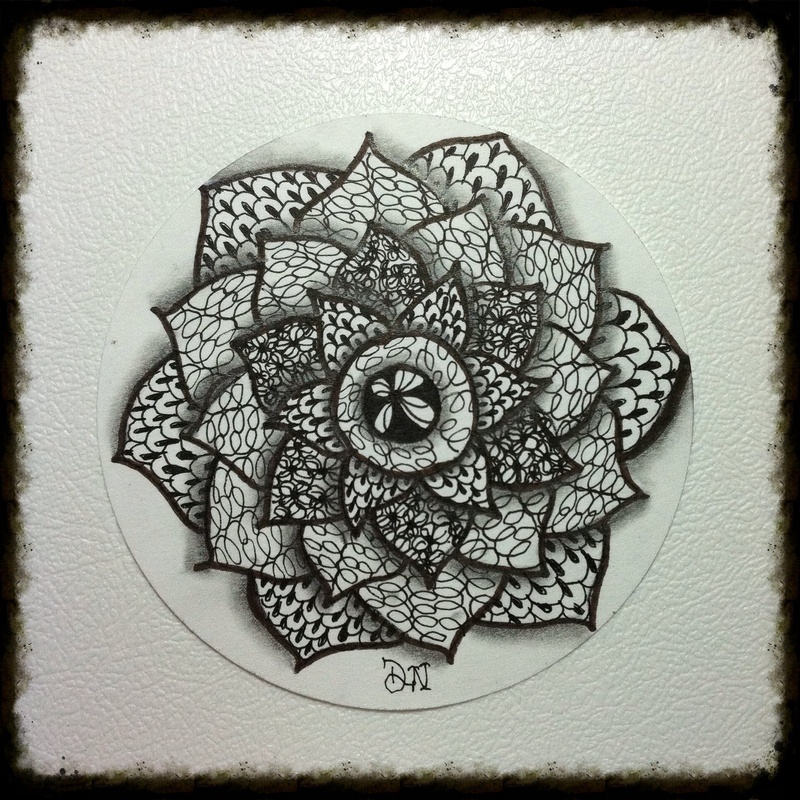 To make this particular Zendala standout, I lined each petal with a thicker pen. Shading, which is my favorite part, was added afterwards to bring some dimension to the pattern. Hope you like my very first Zendala! I look forward to creating my next one!